We attach Analytics to the sites we build as it’s a useful (and free) way of measuring the success of the website. Spring stayed relatively cool here in Sedona and now summer has kicked in for real with 100F+ temperatures. 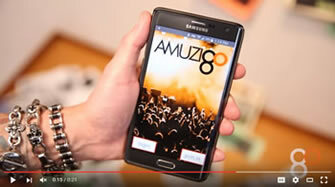 We've also turned up the heat with new projects and of course our own project, amuzigo, the entertainment and events app. Although only a few new websites went live we've been busy with several other new projects which will launch in the summer months both here in the USA and back in the UK. There were also some interesting developments to existing websites, mobile versions added, new facilities in the CMS and CRM systems and more. 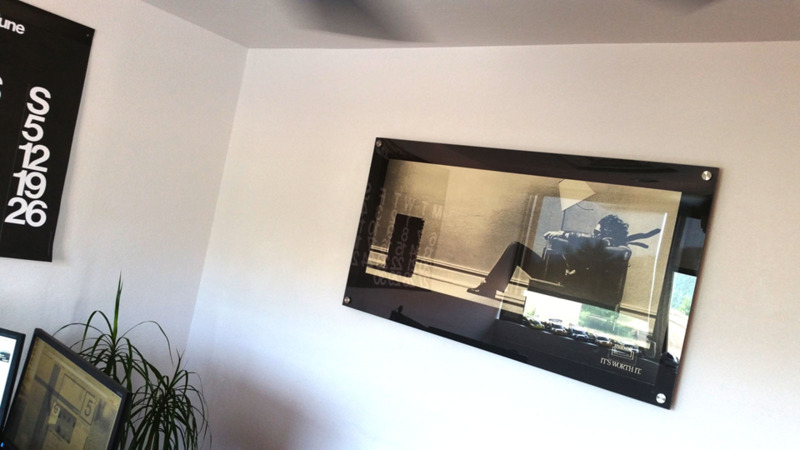 From the humble beginnings at Studio 5 in Rickmansworth a picture given to me by my closest school mates which sadly got lost along the way now hangs again in the Sedona Webdesign Agency office thanks to my racing buddies here in the States. With the Android and iOS APP both launched the development continues with time saving improvements for contributors and users alike. 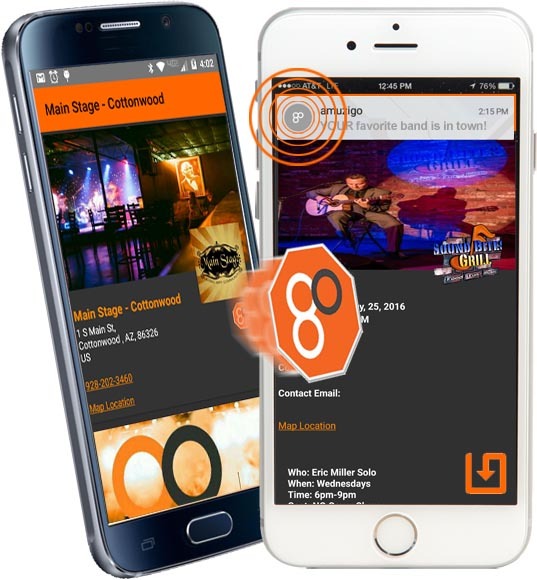 Most importantly users will be able to follow their favorite headliners and venues and choose to receive alerts and notifications on the mobile devices when exciting events are announced. 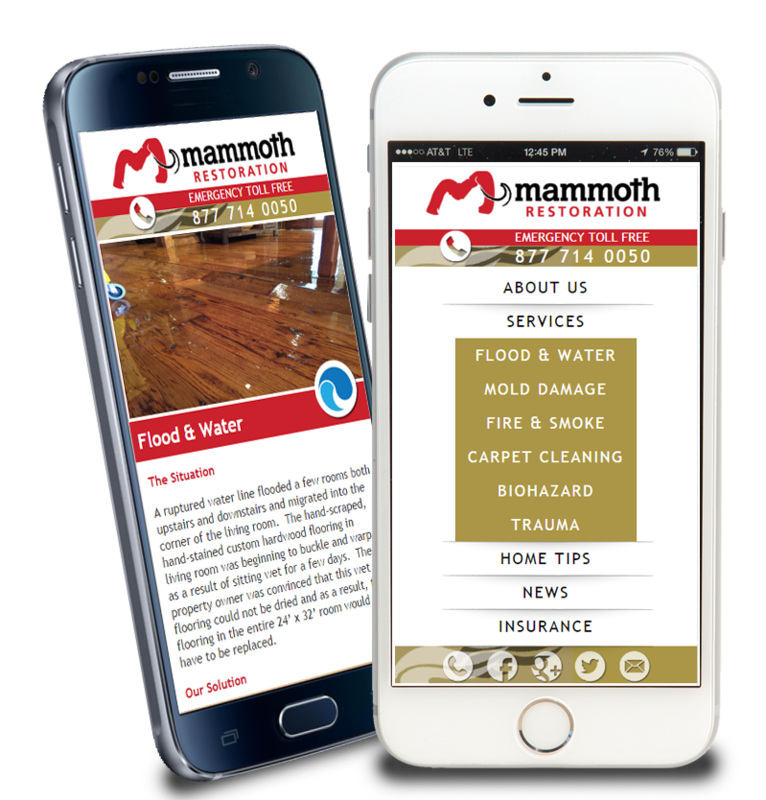 A new website for Flagstaff based, Mammoth Restoration whose services cover flood and fire damage restoration primarily with other related services too. For such a business the mobile friendly web aspect was critical and a missing element from their existing website. In addition the content management system will be maintaining contact with customers for reminders and so forth in the web based CRM. The best news is that the website is already performing well for the client and they have received calls and emails from near and far in relation to taking care of properties in Arizona. A new website design for our long standing associate, London graphic designer, Clifford Rosen. Studio 5 have worked with Clifford for more than twenty years and continue to do so on countless webdesign projects. 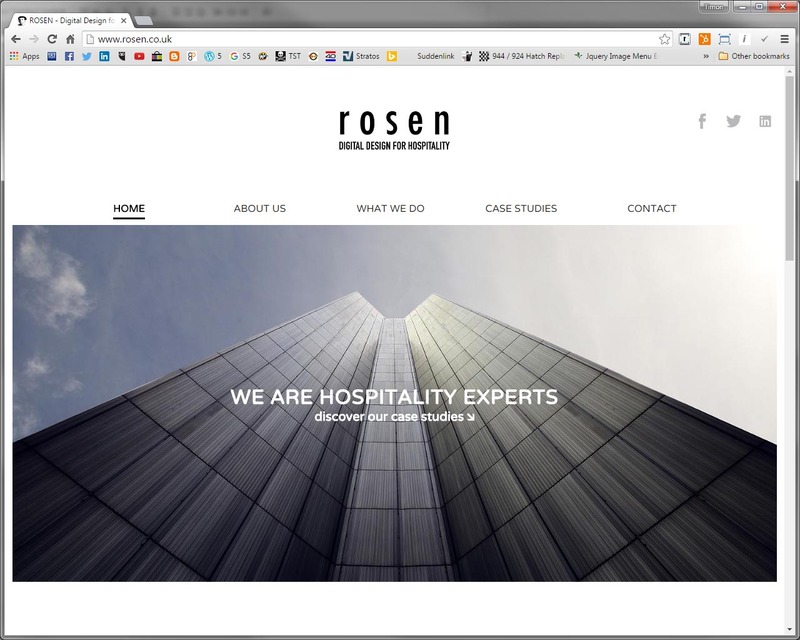 The new website focuses on the hospitality sector in which Rosen Associates have a specialist knowledge in branding, marketing and design. 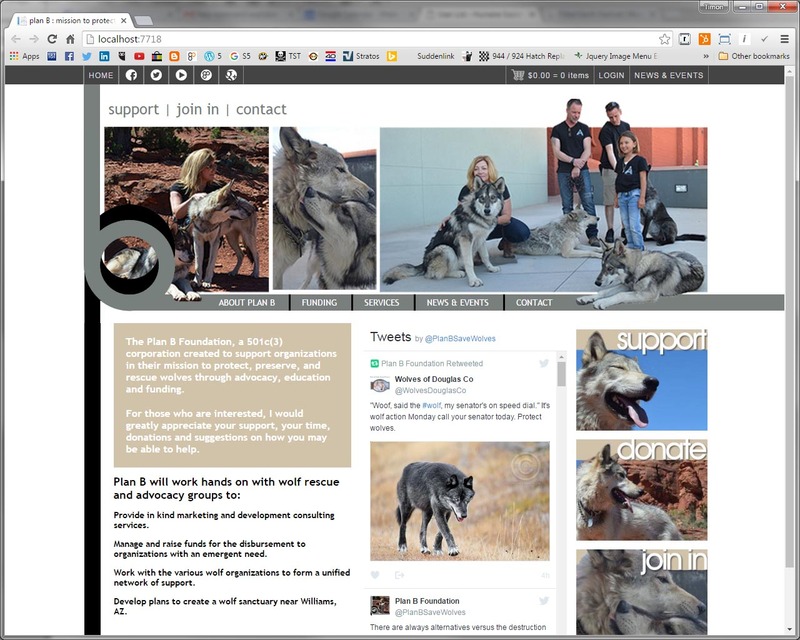 New website for a new non profit organization will include a full e-commerce solution to facilitate variable and monthly donations as well as future merchandise and more. Plan B itself has been set up to aid other organizations throughout North America in an attempt to stop the extinction of one the most iconic native animals of the continent. 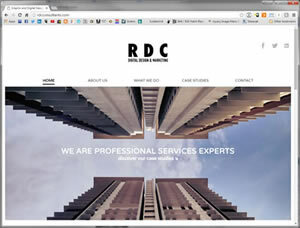 If it looks familiar it's because this website is also for our London graphic designer associate, Clifford Rosen. This website focuses on the particular skills of branding and design project management.